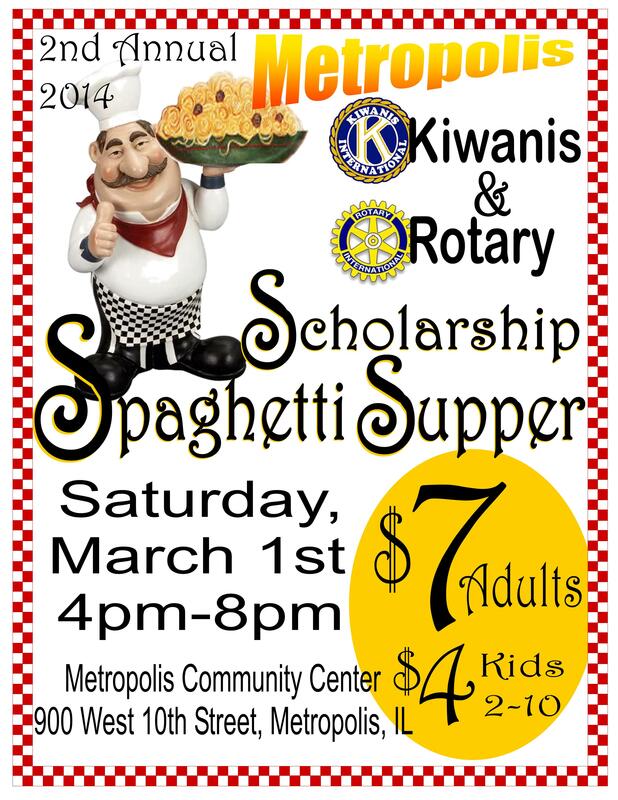 Tickets are available from Kiwanis or Rotary members, Metropolis Planet, Treasures Jewelry Outlet or City National Bank. All money will go toward providing much-needed scholarships for area high school seniors. For more information, contact AJ or Shannon at Treasures Jewelry Outlet, 618-522-465,3 or Areia at Metropolis Planet, 618-524-2141. This entry was posted in All the Buzz - Bee Informed, Organization News and tagged Rotary, scholarship, spaghetti on March 1, 2014 by massacbeeswax.